GAP insurance is an extremely sensible type of insurance to purchase, and it can be provided on an individual vehicle basis or in a ‘block’ for all the vehicles in a fleet. There is a very good reason why you should consider buying GAP insurance and this is it. A normal motor insurance policy will pay you the current market value of your car or van if it were to be stolen or written off. However, the market value may not be enough to clear off any finance on your vehicle or to cover the cost of a replacement vehicle to the same standard. So this is where GAP insurance gets its name from. This kind of insurance simply bridges the gap between what your motor insurance pays out and what you actually need to replace the vehicle, without being out of pocket. In the past, motor garages or dealers sold GAP Insurance at the point of sale whenever you purchased your new car or van. Then in 2015, the FCA (Financial Conduct Authority) changed the rules so that garages had to make it fairer this meant that other providers, including specialist insurance brokers like us, were allowed to start offering GAP insurance instead. The production model is no longer available? Or you’d exceeded a certain mileage? Or the owner of the vehicle is NOT the policyholder or the person/entity who arranged the finance? Or there is a finance company who want paying in full and won’t transfer the debt to your new car/van? All of these can ‘complicate’ the situation making it wise to have separate GAP Insurance. The policies we offer are all annually renewable and can easily be switched from one vehicle to another if you change your car/van. 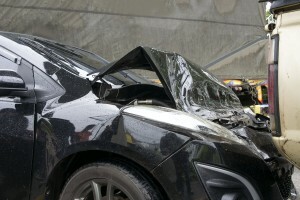 Can GAP Insurance Make A Difference? YES! Most definitely YES! In a real example a van was written off. The motor insurers paid out the market value of £13,950 but the finance company wanted a settlement figure of £23,837.05 so the GAP insurer paid out the shortfall of £9,887.50! GAP insurance can also pay out where there is no finance. In another true example, a car was written off and the motor insurers paid out £26,500. The GAP insurers then paid out a further 25% – £6,625 – enabling the policyholder to get a much better car than they would have been able to do otherwise! We can’t sell GAP insurance to cover certain types of super car (sadly) nor to cover vehicles insured on a motor trade policy as the basis of settlement is trade price NOT market value. Just call us and we can advise you. We don’t shove our clients in a box with a one size fits all approach. We are always ethical and honest and transparent. We prefer to charge a fee rather than take commission for placing your GAP Insurance Policy with an insurer, because you see exactly what we earn and you can be assured that we have sourced the best policy for your circumstances, rather than where we can get paid the most. We simply would never ever do that. We’ve been in business since 2006 and prior to this our team had many years of experience in insurance broking. So you can be confident that we are experts in all kinds of insurance. Our customer service is second to none – and we would love to have the opportunity to show you what we can do for you. Please get in touch or give us a call to discuss GAP Insurance or any other kind of insurance for your business or for your personal insurance needs. We’re happy to give you a call back, fill in the form below and we will be in touch just as soon as we possibly can!